Paperclip does basic and minimal stationery for everyone who likes to stay organised and on track. While we love all the cute and colourful stationery you can find online, with witty and fun pop-culture references on them, some of us love the basic stuff more than anything else. As a stationery hoarder myself, who compulsively buys stationery with Harry Potter and Beyoncé references, my biggest and honest problem is that I end up never writing anything in them. For the simple fact that these are too pretty or precious to be used for everyday things. Paperclip is the perfect choice for weirdos like me who have this same issue. Their collection is simple and minimal, and is available in many colours, perfect to be used for everyday organising and note-making. Their planners are defined and compact, and not over the top at all. For those of you who like to add a dash of colour to your everyday planning, they have coloured paper options too. The diaries come in a range of options. Plain, ruled, boxed, you name it; they’ve got it. They have their own store now in Gurgaon, under the Phase 1 rapid metro station, where they display their entire collection. 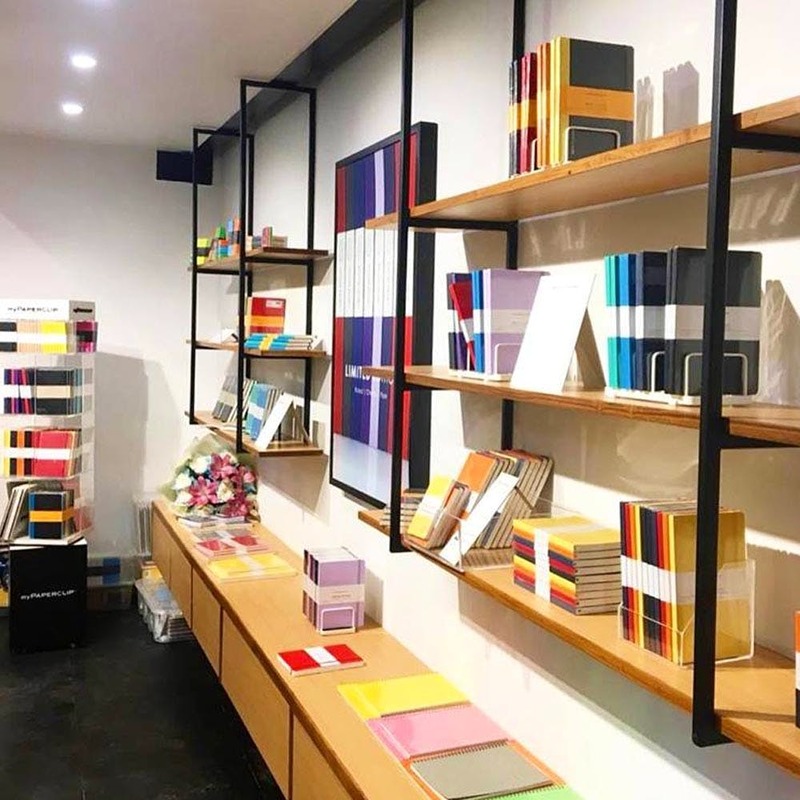 Their stationery is also available across various stores in the city, such as Crossword, Om Book Shop, Anand Stationers, Sita Ram Stationers, and more, but you can also buy from Amazon if you prefer online shopping. Some of their collections, especially the limited edition ones, are priced a bit higher, but their basic stuff is quite reasonable.